I really enjoyed this one! Fantastic writing and story. Reb and Emily are great characters and I adored Tucker. Rhonda not so much. The only thing that kept this from being a 5 star read for me was the lightning speed the relationship between Reb and Emily formed. One minute she's berating him for being an uncaring father (and yeah talking to an MC Pres like that ... hmmm) the next she's at his house and bam! The pairing is intriguing though. Big bad biker pres and the sweet local librarian. I loved it. Then when he finds out Emily is being threatened by a stalker he vows to protect her with the full force of the MC behind him and a wild and crazy times begin. This is definitely a book I recommend! Second in the series and just as engaging. I enjoy reading about women who struggle beyond their pasts but lead "normal" lives in a strong independent manner. When they meet up with that "bad boy" who grabs their heart and shows them there is more to life. This story had Emily coming out of an abusive relationship and facing a question as to how to help her young latchkey neighbor. Taking him to his father changed her life in a big way. They work through a lot of differences and dangerous situations to become a family unit. I recommend this story and look forward to the next in the series. I received a copy of this story through Netgalley in exchange for an honest review. Reb and Emily are great as a couple. Thanks Gillian for letting us into their romance story. Reb is the president of the Club/Motorcycle House. Emily is a single independent lady who happens to live next door to Reb's son Tucker. When Tucker is left on his own; Emily gets involved. What this means is she goes up against Reb. Both of their pasts are high gates to get over but they do achieve their HEA. This is the second book of this series but this could stand alone. Her first book Ruthless is also great. This ARC was provided by author and publisher through Netgalley in exchange for an honest review. I loved it! Emily and Reb have insane chemistry from the moment they meet. He's a big scary president of an MC but is so wonderful with his young son Tucker that Emily quickly discovers that she's not afraid of him at all. In fact, she can't stop imagining all the delicious things he could do to her body, a feeling shared by Reb and he isn't shy about letting her know his intentions. I love a good MC romance and this one did not disappoint. 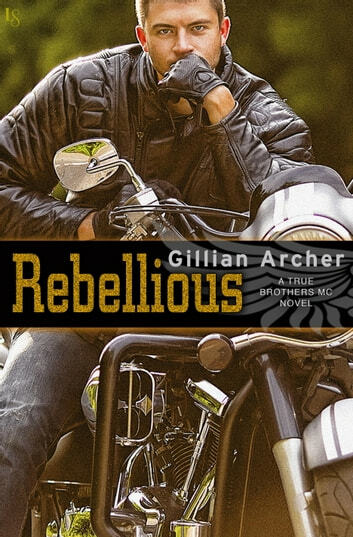 Rebellous is a great story with humor, danger, and hot, hot romance. I couldn't put it down. I received a free copy of this book and am voluntarily leaving a review.